Creating an adaptable solution took time but the team developed a method of “floating” prints that could be used across markets to include temporary and public environments such as stadium signage. 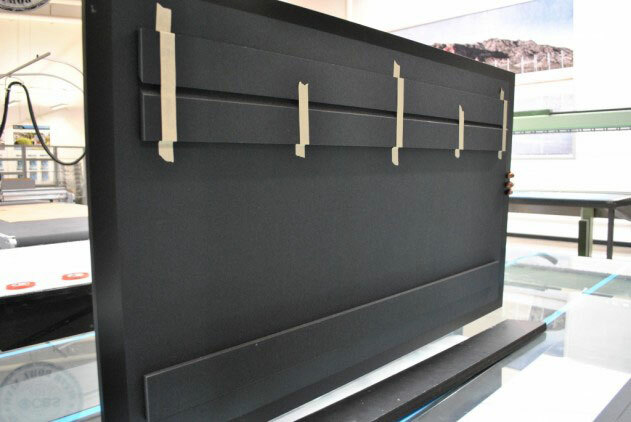 The solution would create a three-dimensional effect by utilizing Gatorfoam board with a custom museum-mount/French-cleat. In testing their solution they created a graphic for themselves to house within their office interior. 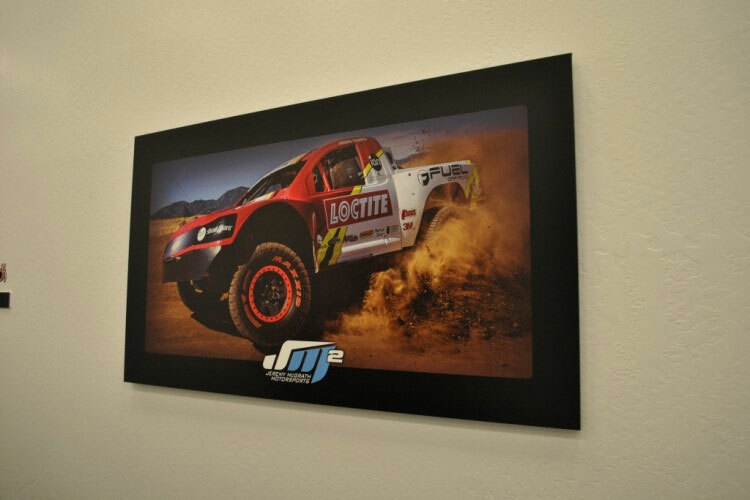 The image is of a custom truck wrap the team completed for seven-time AMA Supercross champion Jeremy McGrath and totaled 4.5 x 2.5 feet. The team opted for a vinyl decal versus digital printing for a variety of reasons. 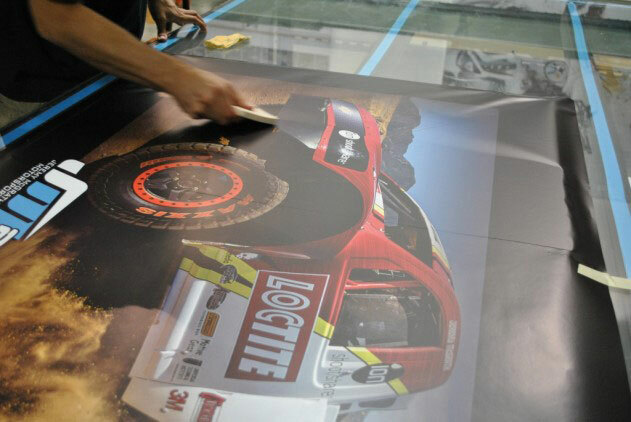 The vinyl allowed for the image to be stretched covering the board’s exposed edges, and the decal produces added protection by laminating the print. The image was processed through their internal Onyx Thrive RIP software before being sent to the HP Designjet L65500 latex printer. 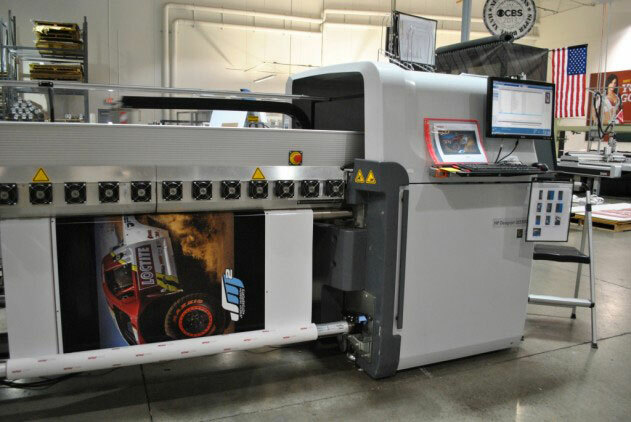 This printer produces high-resolution, allowing the image to be viewed up close. After the print was ready, the Gatorfoam board was cut using a panel saw and set aside in a dust-free work area to be cleaned with a tack-cloth. The care taken to ensure the Gatorfoam material is clean prior to decal installation ensures a smooth surface or bumps in the vinyl.